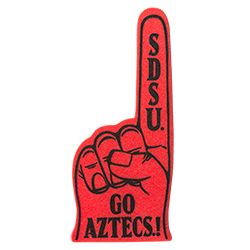 Foam hand featuring SDSU on the finger and "Go Aztecs!" on the palm. Made by Custom Logos Inc.